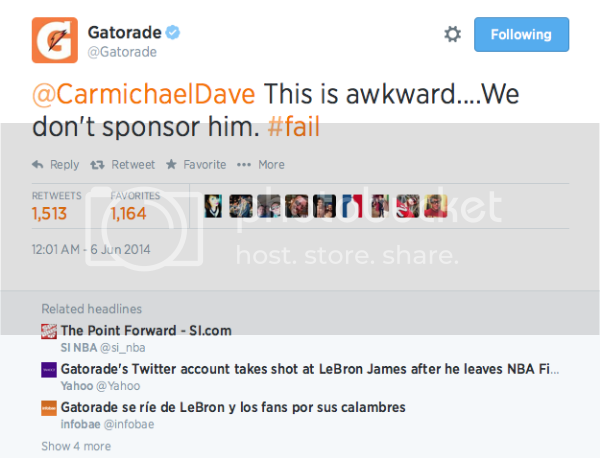 The world's largest sports drink brand took some opportunistic shots at its chief competitor (a LeBron sponsor) during last night's opener of the NBA Finals. 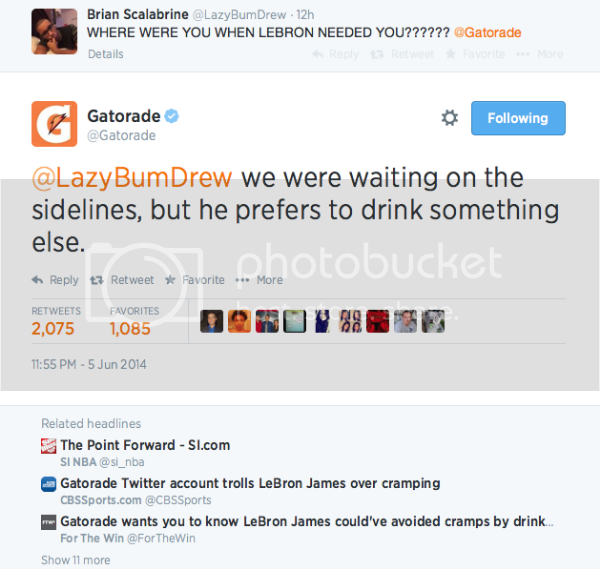 Despite all of this, LeBron was repeatedly spotted drinking what appears to be Gatorade, an NBA sponsor, throughout the game. According to Deadspin, due to LeBron's deal with Powerade, the NBA allows James remove the label from his Gatorade bottles as well as use blank white towels, instead of those with Gatorade logo. The company later issued an apology for the tweets. 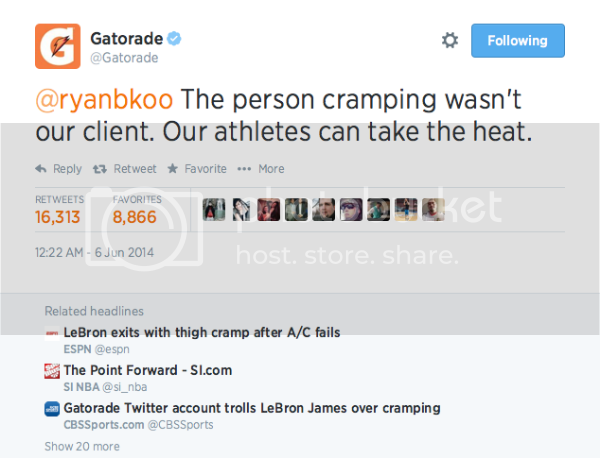 What are your thoughts on the sports drink's social media antics during Game 1?